The main benefits of Bhastrika Pranayama ( also called Yoga Breath Of Fire) include the massaging, toning, and stimulation of abdominal organs. Bhastrika stimulates the metabolic rate, produces heat and flushes out toxins in the body. Bhastrika Pranayama is also known as ‘Bellows Breath’ as the word ‘Bhastrika’ in Sanskrit means ‘bellows’ and the air is drawn forcefully in and out of the lungs like the bellows of a Blacksmith. The purpose of bellows is to increase the flow of air into the fire, thus increasing the intensity of the fire, further resulting in the production of more heat. Similarly, the Bhastrika Pranayama also increases the flow of air into the body, stoking the inner fire of the body. Ancient yogis called this breathing exercise “yoga breath of fire”. The exercise purifies the lungs and nasal passages because of forceful inhalations and exhalations. This powerful Yoga Breath of Fire pranayama practice produce heat within the body, increase circulation, balance the nervous system and has a strong purification effect on the energy system within our body. In ‘Kapalbhati Pranayama’, the focus is only on exhalation whereas inhalation is passive and natural. While in the Bhastrika Pranayama, Inhalation and exhalation both are done with the forth and back movement of the abdominal wall. Spread the Yoga Mat and sit on it in a meditation posture with the hands resting on the knees. Keep the spine in the upright position, close the eyes, become aware of the whole body and relax it. Take a deep breath in and exhale forcefully through the nose. Forceful inhalation and exhalation result from full expansion and contraction of abdominal muscles. Do not strain in any case. Let the movements be slightly exaggerated. Continue up to 10 breaths. Take a deep breath in and breathe out slowly. Start with 10 breaths. With practice, when one has got accustomed to it, both the speed and counts of breath can be increased, maintaining the rhythm of the breath. 3 to 5 rounds can be practiced depending upon the individual capacity, without straining. Between every round, take some rest with the awareness of breath coming to normal. Beginners should take a good rest after each round and avoid violent respiration so that there is no strain. While practicing Bhastrika, excessive shaking of the body should be avoided. It is always advisable to practice such dynamic practice under the guidance of a competent Yoga teacher or Guru. In case of excessive perspiration, feeling of vomiting or giddiness, there are chances that the Bhastrika Pranayama has been done incorrectly and guidance of an expert is required. 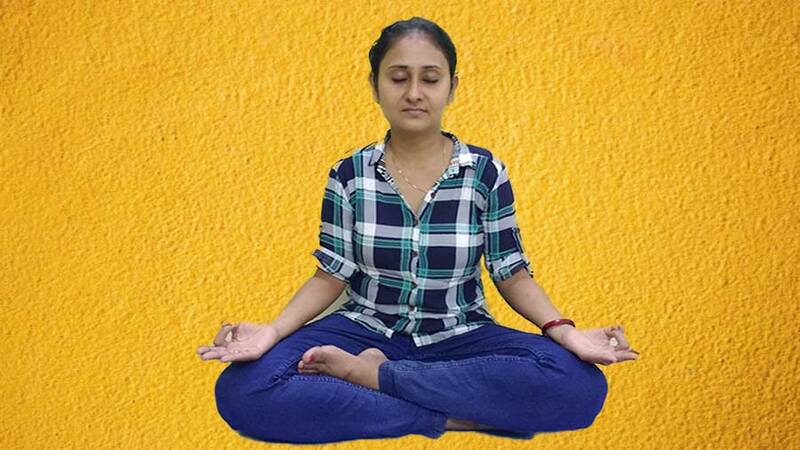 People suffering from High Blood Pressure, Heart Ailment, Gastric Ulcer, Stroke, Epilepsy, Vertigo or glaucoma should not practice this Pranayama. Pregnant women should avoid such dynamic practices. People suffering from a slipped disc or other severe back condition should also avoid Bhastrika or do it under the guidance of an experienced or competent Yoga teacher. Bhastrika stimulates the metabolic rate, produces heat and flushes out toxins in the body. This pranayama is very good for toning of the digestive system. Bhastrika massages and stimulates all abdominal organs. Hence it is good for people suffering from diabetes. Bhastrika removes the excess fats from the belly. It balances and strengthens the nervous system. It also provides physical relief from the inflammation in the throat. The practice of Bhastrika helps avoid accumulation of phlegm. Bhastrika Pranayama reduces the level of carbon dioxide in the blood. It increases the concentration of the practitioner. It also burns up toxins of the body and helps the practitioner by balancing the Tridoshas viz. Phlegm, Bile, and Wind in the body. Bhastrika is very good practice for the health of Lungs.